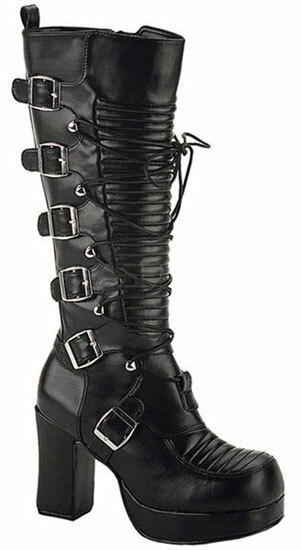 Black PU knee high Gothic boots with a 3 3/4 inch heel, lace up front, and six adjustable buckles. The front of the boots have a ribbed chin with laces. 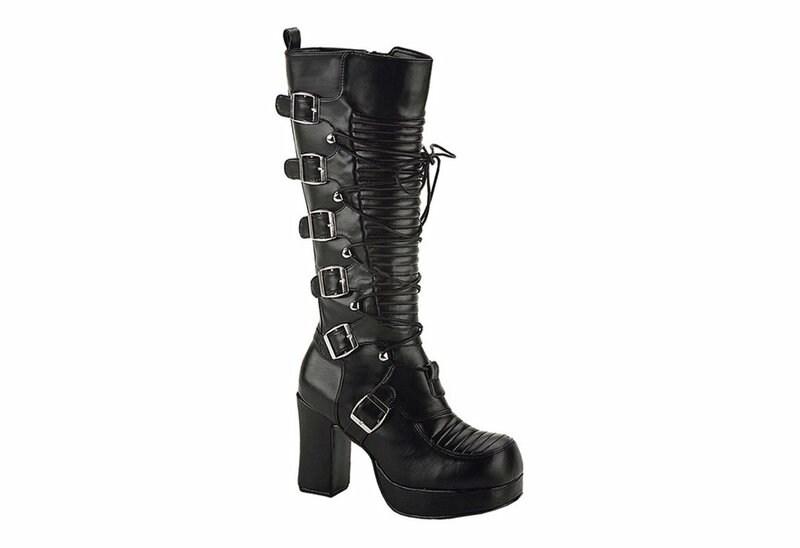 The Gothika comes with a full inner zipper so you do not have to un-lace and lace them every time you take them on and off.